Stainless steel is an iron-chromium-carbon alloy with a chromium content of at least 10.5% and the possible addition of other elements, including nickel and molybdenum. The main characteristic of this steel family is the excellent corrosion resistance guaranteed by the presence of chromium that on contact with the oxygen in the air, promotes the formation of a thin, stable oxide film on the surface, known as passive layer. This passive layer protects the underlying material from external corrosive agents and when damaged, can self repair. Depending on their microstructure, stainless steels are traditionally divided into four large familiess: austenitic, ferritic, martensitic and duplex. These are steels with a face-centred cubic structure, containing carbon, nickel and chromium with the possible addition of other elements, such as molybdenum, titanium and niobium, so that they maintain the austenitic structure at room temperature as well. Since austenite is paramagnetic, austenitic steels can be easily recognised with permanent calibrated magnets. They are classified as AISI 3XX series and differ from one another essentially for the nickel content.The most widely known austenitic grade is AISI 304, containing 18% chromium and 8% nickel. The addition of 2-3% molybdenum, together with a suitable increase of the nickel content to maintain the stability of the austenitic phase, is useful to improve resistance to pitting and stress corrosion cracking (AISI 316) while, the addition of elements, such as titanium or niobium, prevents the precipitation of chromium carbides (which occurs in the temperature range of 450-850°C – sensitisation) and prevents intergranular corrosion (321 and 316Ti steel). Stabilised austenitic stainless steels are ideal for producing welded structures located in places where there is a risk of this corrosive attack. There are also austenitic grades resistant to high temperatures, known as “refractory steels”, that thanks to the high chromium, carbon and nickel content, offer superior mechanical resistance and high temperature resistance. There is a wide variety of uses for these steels: household applications; architectural finishes; food and beverage facilities; storage tanks, heat exchangers, exhaust systems, , and industrial autoclaves. Their resistance to the most corrosive agents also makes them largelyused in the chemical industry. Good polish ability and excellent hygienic coefficient. Not magnetizable in the annealed condition. Ferritic stainless steels are essentially iron-chromium-carbon alloys with a chromium content varying from11%to 30%, with the possible addition of other elements, such as molybdenum, to increase resistance to localised corrosion, and aluminum, to increase resistance to oxidation at high temperatures. In the ASTM designation they are classified as the 4XX series. These grades have good mechanical strength and corrosion resistance. They have a body-centred cubic structure, but cannot improve their mechanical properties through heat treatment. 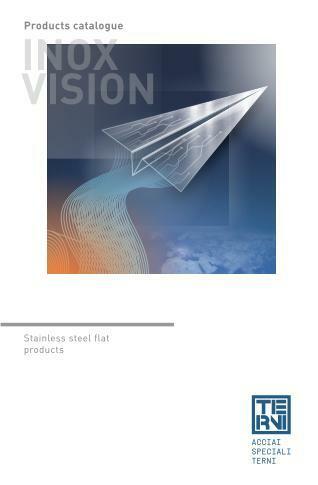 There is a family of ferritic stainless steels called stabilised steel, where the low content of interstitial elements (carbon + nitrogen) together with their stabilisation with titanium and niobium, allows a wide field of applications in the automotive industry with excellent performance in terms of formability weldability and corrosion resistance. 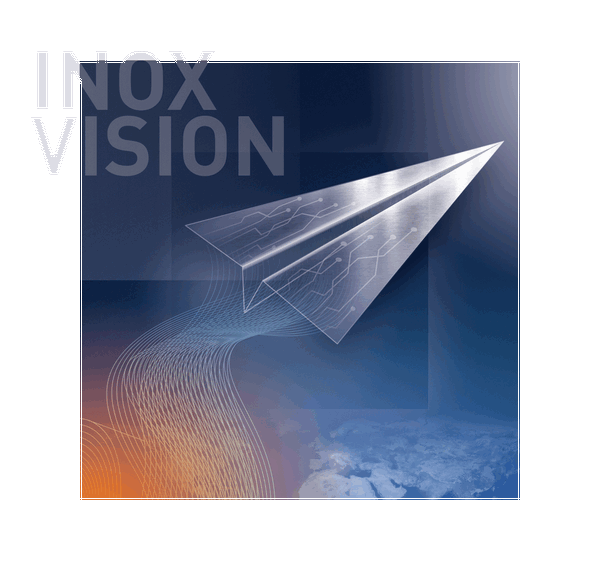 Super-ferritic stainless steels: Thanks to VOD technology, AST can produce“superferritic” stainless steels with low interstitial content and chromium up to 24% which guarantee a corrosion resistance comparable to the more expensive austenitic grades. The most common uses of this grades are pots and pans, household appliances, decorative components and panelling, as well as exhaust systems in the automotive industry and engineering applications, such as chains for conveyor belts and heat exchangers. Not hardenable by heat treatment . Martensitic stainless steels are chromium alloys (from 11 to 18% ) with a relatively high carbon content (from 0.08 to 1.20%) and the possible addition of small quantities of other elements, including nickel, manganese, silicon and molybdenum. The mainly feature of this family is the ability to be hardened by heat treatment and they offer high mechanical strength. They are commonly known by the American designation, i.e. the AISI 4XX series (the most known are AISI 410 and 420 with 0.20% < C < 0.40% and Cr = 13% approx.). Martensitic stainless steels are mainly used in the knives and blades industry, for stainless steel tools, gears and surgical instruments, hand tools, pump shafts, valves and brake discs.